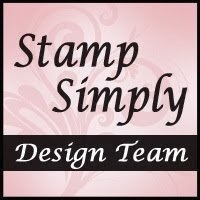 Hello, and welcome to day six of The 12 Days of a Clean and Simple Christmas-Stamp Simply Style! Brand new items, first time out of the pack for my design today...beginning with Prima's "North Country" designer paper and "Prima North Country Art Tiles." You can see all of the "North Country" goodies here. This also is a first time use for Penny Black's "Snow Dust" rubber and wood stamp. I stamped the image with Versafine Sepia ink, then blinged it up with Kaisercraft rhinestones in "Lippy" and "Silver." The bow today is May Art's Grosgrain with Satin Edged Ribbon, formed with a Bow Easy. All supplies for today's design are available at The Stamp Simply Ribbon Store. If you haven't checked Sharon Johnson's CAS yet, be sure to take a look! On a personal note: Thanks to everyone at Splitcoaststampers--I was chosen as this week's Featured Stamper...what an honor! I appreciate everyone playing along, casing designs from my SCS gallery! Thanks for stopping by during our halfway point...we will continue The 12 Days of a CAS Christmas--Stamp Simply Style tomorrow, day seven! Please join us again! Awesome! I love the red bling...! What a pretty, peaceful looking card! What a beautiful card, Deb! I love the papers and the bling! The bow and tile are terrific! Congrats on being Featured Stamper! Loved the card. Congratulations on being the featured stamper. I'm going to have to check that out! Congrats on being Featured Stamper! Like the image and the ribbon treatment! Beautiful card! 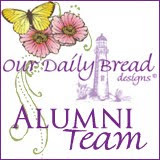 Congrats on being a featured stamper! Gorgeous card! Congratulations on being the Featured Stamper this week. Need to check it out! That Penny Black stamp is unusual and simply awesome. Very inspirational on your part. Congratulations Deb - you are so totally deserving - your work is always over the top!! I also need to go and buy the new magazine that you on in - double congrats!! I just checked out all your Christmas cards for the first time - they are gorgeous. My favorite is Day One - I absolutely love it!! Wow Debi I would have never thought to put those papers together but it looks great! Thank you so much. I just love this card, so pretty, thank you so much for sharing it. This is a beautiful card. I really love it a lot! I love the dp and the image of the snow is so eye-catching! I just love this look so much! I'm sorry. I didn't know you were the Featured Stamper at SCS,or I would have made a card for you. I don't even know where or when the list the person. But, I know that you are one incredible artist, and deserve to be CASE'd. Congratulations!